Very nice dealership. Joe helped me out a lot, Defintley took care of me. Highly recommend out of most Honda dealerships. U can just walk in! Joe Donegan and Howard Polman are the absolute best to deal with. They calmly and patiently helped me pick the right car along with the best price possible that meets my limits. Thank you for everything! Loving the new Accord Sport! At Mahwah Honda, our highly qualified technicians are here to provide exceptional service in a timely manner. From oil changes to transmission replacements, we are dedicated to maintaining top tier customer service, for both new and pre-owned car buyers! Allow our staff to demonstrate our commitment to excellence. 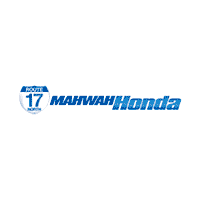 Mahwah Honda in Mahwah, NJ treats the needs of each individual customer with paramount concern. We know that you have high expectations, and as a car dealer we enjoy the challenge of meeting and exceeding those standards each and every time. Allow us to demonstrate our commitment to excellence! Our experienced sales staff is eager to share its knowledge and enthusiasm with you. We encourage you to browse our online inventory, schedule a test drive and investigate financing options. You can also request more information about a vehicle using our contact us form or by calling 201-529-5700. If you don’t see a particular vehicle use our Vehicle Finder Service. We will gladly inform you when a matching car arrives. If you’d like to see a vehicle in person visit us at one of our two locations. We look forward to serving you!